When it comes to creating a successful pay per click campaign, there are many elements within it which will affect how successful it will be. The advert itself will affect the CTR for your campaign. The keywords you choose will affect what type of traffic reaches your landing page. The type of landing page you choose will affect what type of conversion you are looking for from PPC traffic. Every part of PPC has a job. Therefore, what is the cost per click’s job? 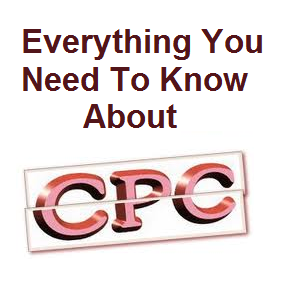 Here is everything you need to know about the CPC in pay per click advertising. To start things off, the CPC in a PPC campaign is the maximum price you are willing to spend to gain a click on your advert. One of the cool things about Google Adwords is that if competition for your chosen keywords is low, they will lower your CPC so gaining clicks will actually get cheaper. Once the competition increases to over your maximum CPC, you will not be able to gain any more traffic as the CPC has now become too expensive for you. When you are researching the type of CPC you should have in your campaign, it is a great idea to use Google’s Keyword Tool from Adwords. You can look at the popularity of different keywords or phrases which will help you determine whether you should use them keywords or phrases in your campaign. This is where the ‘high vs low’ CPC argument comes into place. You will gain the best ad placements for clicks. Your advert will appear on the best websites for clicks. You will gain the most specifically targeted contextual traffic that is the most likely to perform you a conversion. This will sound all good news to you. However, it is the results that matter the most. If you find that through adopting a high CPC will make you more money, then use it! But, with this comes a word of warning. Like most types of auctions, you definitely do not want to overprice your PPC traffic and increase your CPC to ridiculous levels. Believe it or not, there are some keywords which are worth over $50! A PPC bidding war is an extremely dangerous territory to get yourself into. You can gain more traffic for the same price. This will help account for the obvious decrease in conversion rate. With more people reaching your landing page, there is more of a possibility of more interactions such as through social media or simply through a conversion. If you were to take something away from this article, it would be to experiment. Not one person out there will have the answer to your PPC campaign but yourself. Through experimenting, you can narrow down the CPCs which work best for your campaign. Should You Allow Commenting On Your Blog?